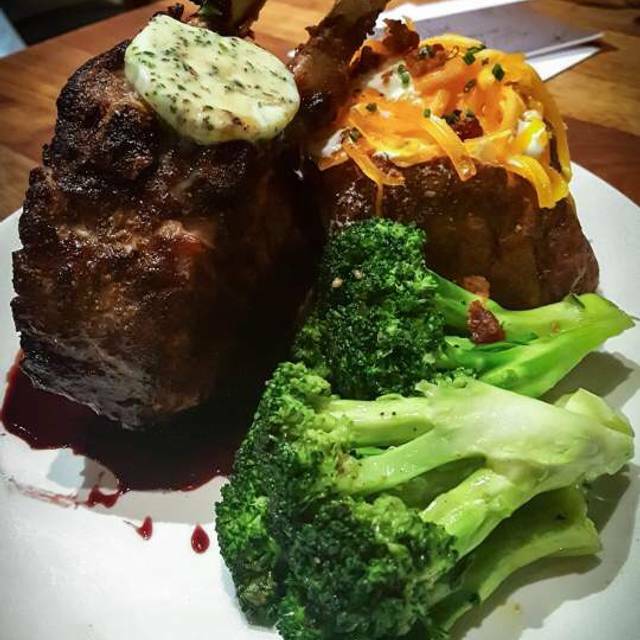 You must make reservations at least 5 minutes in advance of the time at Stoney River Steakhouse and Grill - Annapolis. 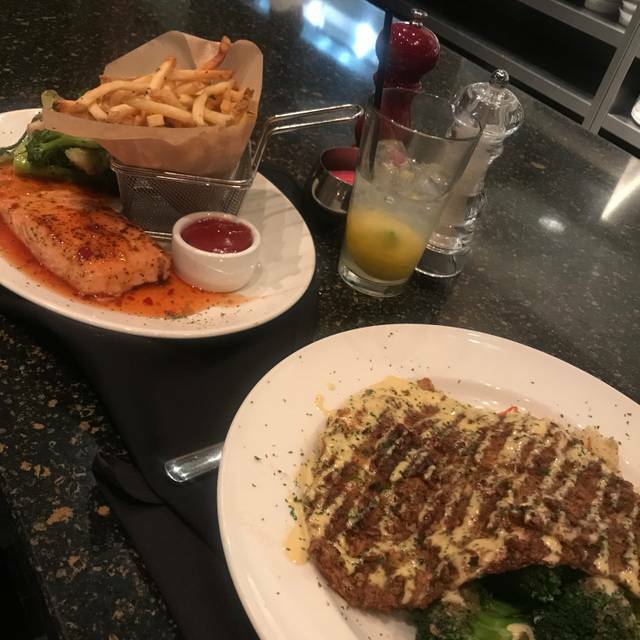 Love everything about Stoney River. The food, service, lemonade, rolls, etc. Very loud restaurant. Vegetable side dishes like augratin potatoes very garlicky and lacked moisture. Menu is somewhat limited, especially for seafood. For the money, there are far better choices to be had in the Annapolis area. The food and service outstanding. The menu has great variety and options. You won’t be disappointed. 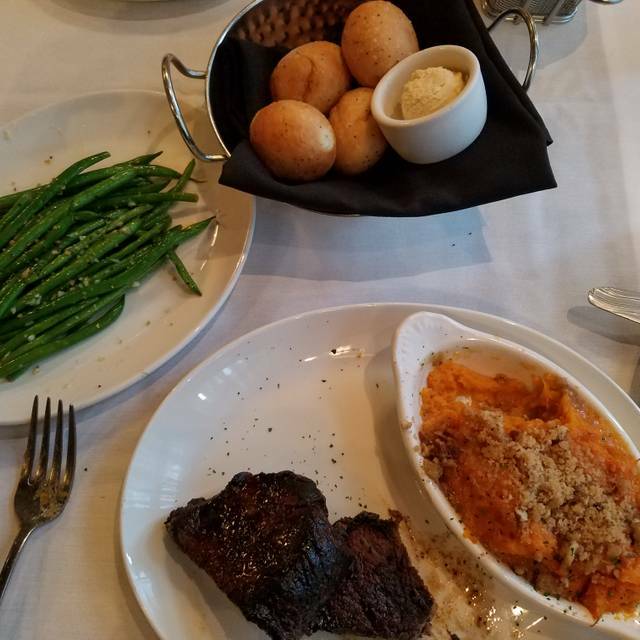 I've dined at the Stoney River Steakhouse about 6 times in as many years and have been disappointed every time. 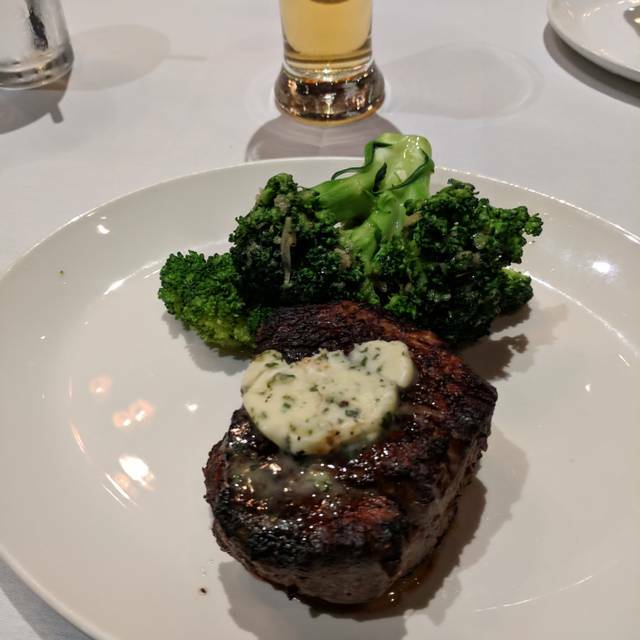 I've never tried the fillet mignon, but have tried many other cuts, and have been dissatisfied with the steaks in most cases. Only 1 was cooked as ordered. The prime rib I had yesterday was the worst prime rib I've had anywhere (more gristle and fat then meat, very very chewy and hard to cut). 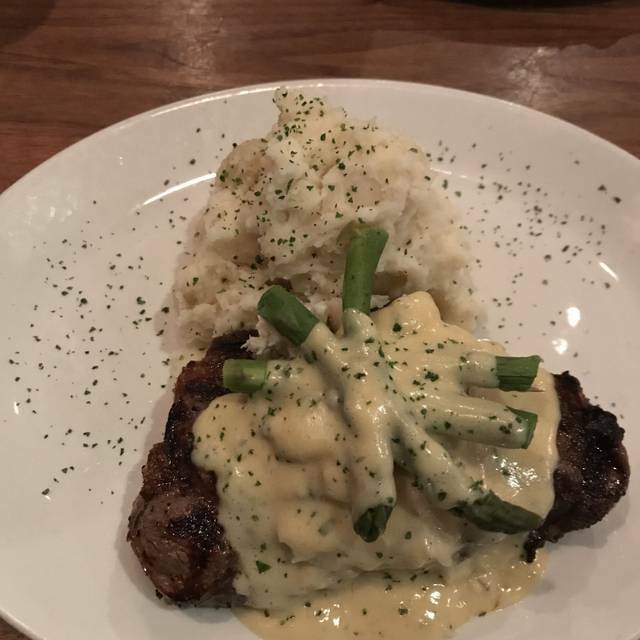 Overall I have had much better steaks, for a better price, at the local Outback and Longhorn Steakhouses. 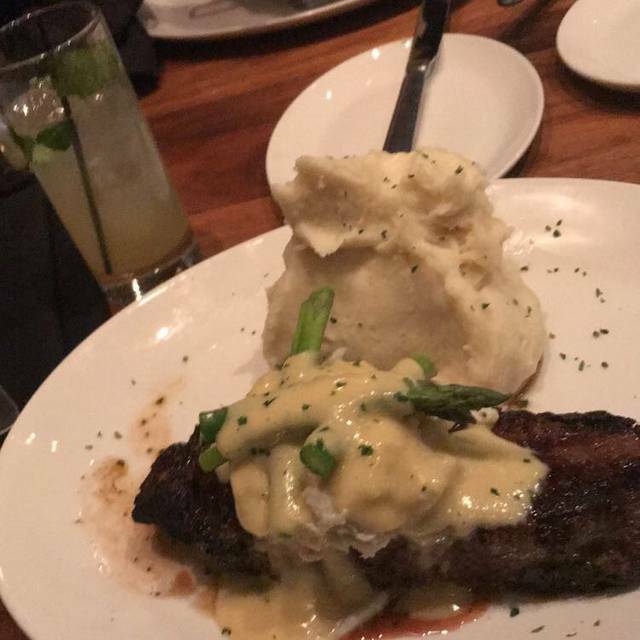 Even the steak I had at Red Lobster was better. Salads (side and entree) have improved over time and were pretty good this last visit. I got the au gratin potatoes and sauteed spinach yesterday. The potatoes were passable but had an odd spice (nutmeg I think) and a sour tasting cheese. The sauteed spinach was good. We got the key lime pie and creme brulee. The pie custard was good but the crust was too thick and dry. 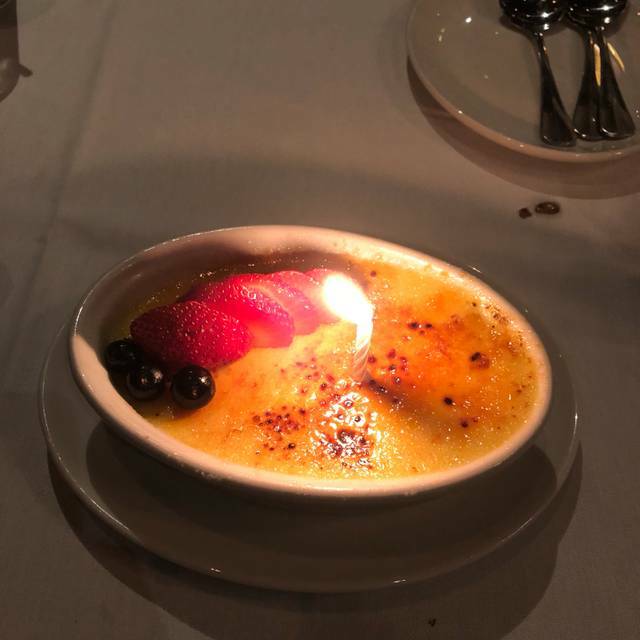 The brulee custard was passable, but they put too much sugar on top and over torched it into a thick, dark, burnt tasting, glass-like sheet, not the light, crunchy, caramel flavored crust we expect. The noise from the kitchen used to be very loud. Yesterday at least, even with a fairly full restaurant, the noise level was just moderately loud. I know the open kitchen concept has been "in" for a while now, but they, like many other restaurants, would benefit from installing a noise barrier. I will not be returning. I would like to dine there as it is close by, has a decent decor, and a friendly wait staff, but their steaks have not improve over time - still sub-par for the cost. 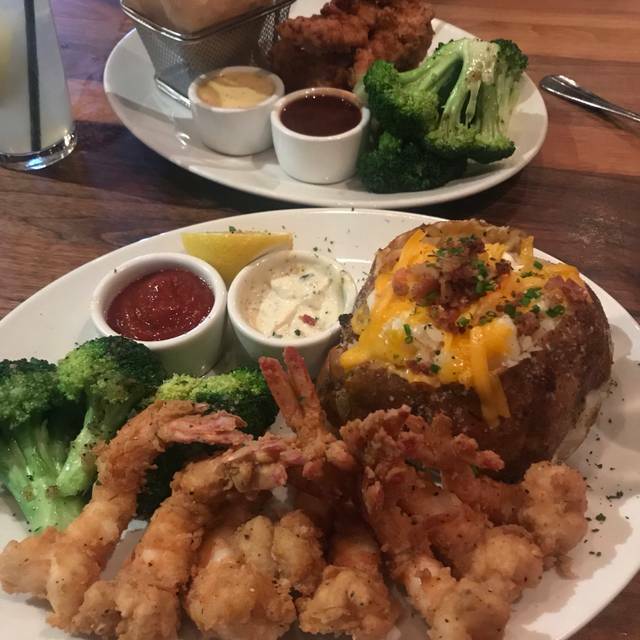 I've been to a Stoney River in GA, and the food was great there, however, it's wonderful to know there is one here in Annapolis that I can go to at anytime. It was my husband's birthday and what impress me was they gave me a card signed by the staff. Our waiter was wonderful and the food outstanding. 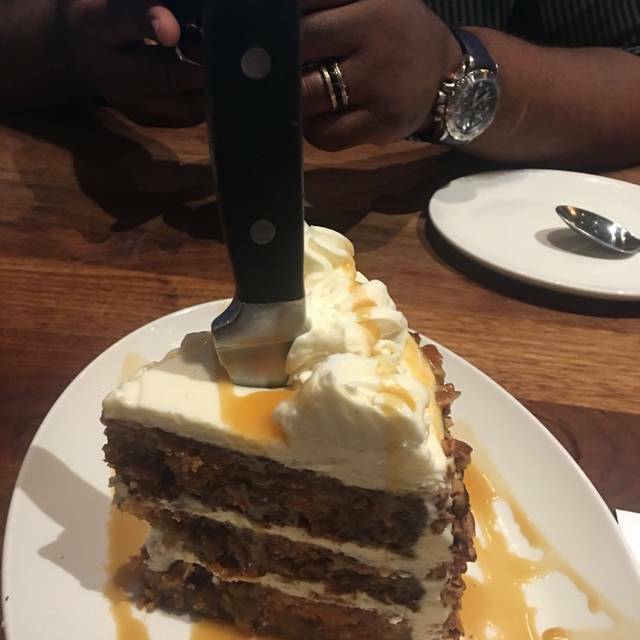 We have found our new place to celebrate occasions as well as getting a great meal.